Tom Hardy has decided on his next role, which will be as Al "Scarface" Capone in Josh Trank's Fonzo. Hardy has been attached to the project since 2016, when the movie was first announced. However, the actor has had an interest in playing the notorious gangster since 2012, when he was attached to play Capone in Cicero, which never came to fruition. Tom Hardy announced that Fonzo will be his next role on social media, alerting all his fans first. Tom Hardy shared this Fonzo news the same way he announced Venom, which was on Instagram, except he's not wearing a Venom t-shirt this time around. Instead, it's a black and white picture of the actor's face engulfed in cigar smoke, with a simple caption that reads, "Time for Al Cap." It's been nearly 10 years since Hardy was first attached to play Al Capone and now it's finally happening. Josh Trank is reportedly still attached to direct the project and production is expected to begin next month in New Orleans. Fonzo will tell the story of Al Capone's later life. Capone was sentenced to prison at the age of 33 for tax evasion, of all things, never mind the murdering or racketeering. Upon arriving to prison, Capone was diagnosed with syphilis and gonorrhea, which led to the unraveling of his mind while in prison. He was later moved to Alcatraz off the coast of San Francisco. The synopsis for Fonzo explains this. "Once a ruthless businessman and bootlegger who ruled Chicago with an iron fist, Alfonse Capone was the most infamous and feared gangster of American lore. At the age of 47, following nearly a decade of imprisonment, dementia rots Alfonse's mind and his past becomes present as harrowing memories of his violent and brutal origins melt into his waking life." Tom Hardy recently wrapped production on Sony's Venom movie, but it's more than likely that the actor will come back to do some reshoots this summer. Comic book fans were pretty disappointed by the teaser trailer that was recently released, so it will be interesting to see if attitudes change when the first real trailer is released later this year or when the movie hits theaters in October. Venom hits theaters on October 5th, 2018. As previously noted, Fonzo is expected to begin production next month in New Orleans. An official release date is not available at this time, but it's safe to say that the project will come out in 2019, if all goes according to plan. Josh Trank was previously attached to write and direct the standalone Boba Fett movie in 2015, but he was later let go from the project for personal reasons. For now, we'll take Tom Hardy's word that production will begin next month. 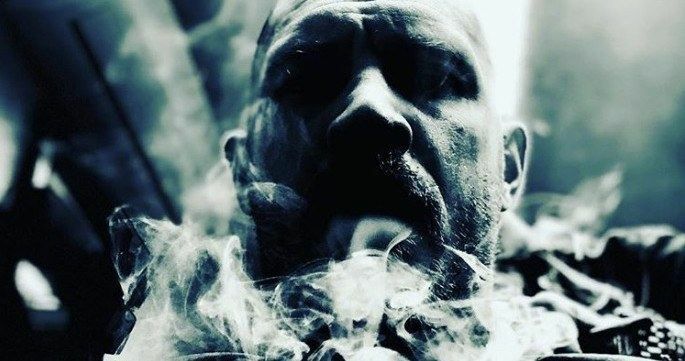 You can check out the Fonzo confirmation from Tom Hardy's Instagram account below.